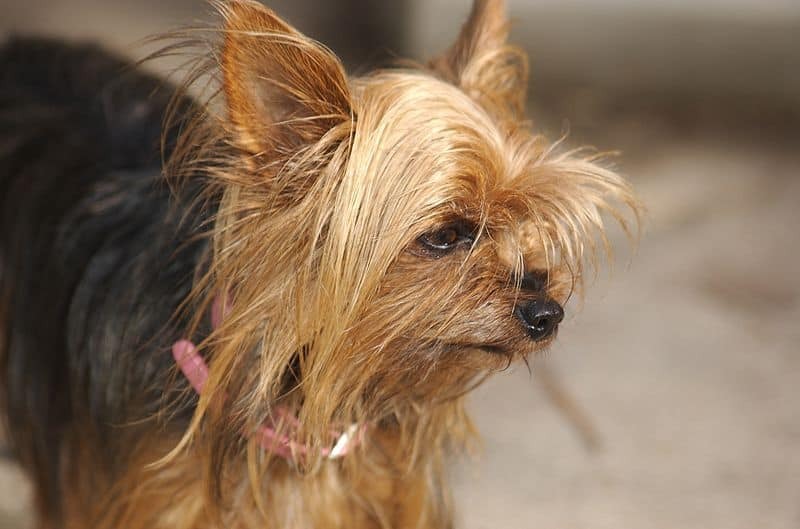 If you want a new pet that’s both cute and fluffy, then the Teacup Yorkie won’t disappoint. However, a word of warning; these little guys need a lot of special care and attention because of the complications that arise from their tiny size. If you have the time and patience to handle that, they’re most certainly worth adopting. They’re adorable companions! Continue reading to reveal more about these beautiful creatures! What Does a Teacup Yorkie Weigh? How Do Breeders Produce Such Small Dogs? How To Feed a Teacup Yorkie and What To Feed Them? 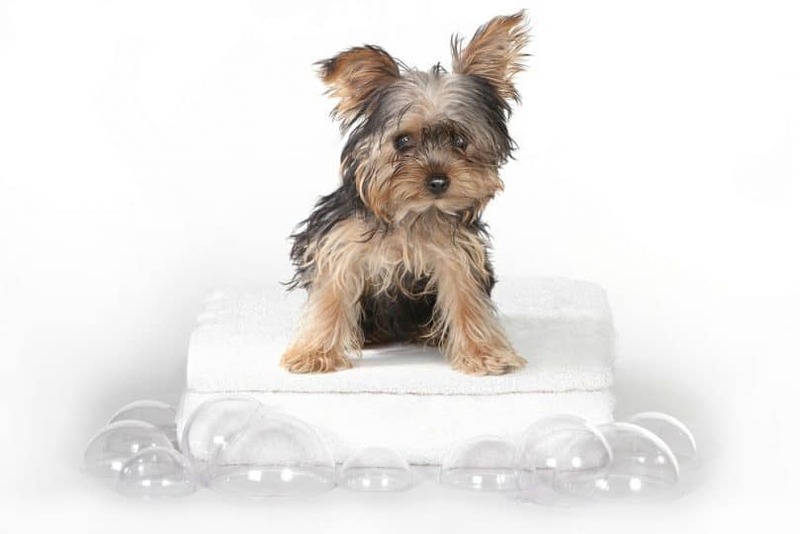 Are Teacup Yorkies Healthy Dogs? Where to Get a Teacup Yorkie? First things first, there isn’t an official definition for Teacup Yorkies. However, breeders strive to produce pups that’ll weigh no more than 4 lbs (1.8 kg) once they reach their full ‘adult’ weight after a year. This is considerably less than standard Yorkshire Terriers. On average, these weigh 7 lbs (3.1 kg); making the size difference between the two fairly substantial. It’s hardly surprising that dogs of such a small size suffer a multitude of medical complications. When it comes to breeding teacup-sized dogs of any breed, there are no guarantees. Occasionally these occur naturally. However, more often than not breeders intentionally breed using two undersized dogs to produce a smaller sized litter. Naturally, this is a risky business for both the mother and her pups. It’s unlikely the mother can bear more than two puppies at a time, and even that can be dangerous for her. As such, we only suggest adopting these pups rather than fuelling the industry. Breeding such puppies are fraught with unethical practices such as inbreeding and starvation to achieve such results. You need to monitor your puppy very carefully. Particularly within the first two weeks of getting him. It’s essential that you make a special effort to note how much he eats, drinks, whether he has enough energy to play, and how regularly he goes to the toilet. Teacup Yorkies suffer from hypoglycemia so any changes to the above could be an indicator that a fatal seizure is imminent. Don’t allow your Teacup Yorkie access to the entirety of your house straight away. Instead, designate a specific room where they’ll feel warm and comfortable. It’s best for them to adjust to their new surroundings gradually, so he doesn’t get too overwhelmed. Teacup Yorkies are easily panicked, be sure to ease them in. Offer him a comfortable, cozy bed he can climb on and off of easily. It’s of paramount importance your Toy Yorkshire Terrier pup isn’t forced to jump to reach his sleeping area. Their bones are fragile and easily break, the last thing you want is a nasty accident. This also means you shouldn’t leave him alone with furniture he could jump from, i.e., a chair or a sofa. Keep your eyes peeled. These dogs are incredibly small, so they’re easy to trip over and accidentally kick if you don’t see them coming. Take particular care when walking around your home. If your Teacup Yorkie is between 4 to 8 weeks old, you shouldn’t bath him. Instead, use baby wipes or a damp towel to clean him gently. After you’ve washed your pup, dry him thoroughly. This is vital because they get very cold, quickly. This can be dangerous as well as uncomfortable for your puppy. Teacup Yorkie pups should eat once every 3 to 4 hours. However, because of their tiny size, they don’t require massive portions. Rest assured, you don’t need to wake him in the middle of the night to feed him. It’s enough to ensure he eats just before you go to bed, and then again first thing in the morning. They should never skip a meal. If your pup lacks an appetite, consult with your vet as soon as possible. It’s essential you take this seriously because Yorkshire Terriers quickly suffer from low blood sugar levels. If left untreated, this could be fatal. Tiny dogs like this need at least 40 calories per pound of their body weight. Therefore, it’s essential you select food that’s formulated for smaller dog breeds; this is the best way to ensure your Yorkie gets their dietary requirements. Plus, Toy Yorkies are prone to both sensitive stomachs and liver shunts, this again makes choosing the right food imperative for their comfort and health. Hypoglycemia: this is just a fancy term for low blood sugar levels. If your pup is between 8 and 16 weeks old; it’s particularly prevalent. Sadly, this ailment can cause seizures, and in the worst case scenario, death. If you think your Teacup Yorkie is suffering from this, call a vet immediately. Top Tip: while you’re waiting for professional help, grab a clean towel and wrap it around your puppy to keep him warm. Rub honey on his gums, this will help the blood absorb glucose, and you should attempt to get him to eat. Collapsed Trachea: Like humans, the trachea is the passage that transports air from the nose to the lungs. Fortunately, the phrase; “collapsing trachea” sounds much worse than it actually is. A collapsed trachea mainly causes chronic coughing. Dogs may also suffer from other symptoms such as wretching, difficulty breathing, trouble exercising, blue colored gums and passing out. Legg-Calvé-Perthes Disease: This refers to the deterioration of the top of the femur bone in the back legs, causing discomfort and inflammation in the hip joint. 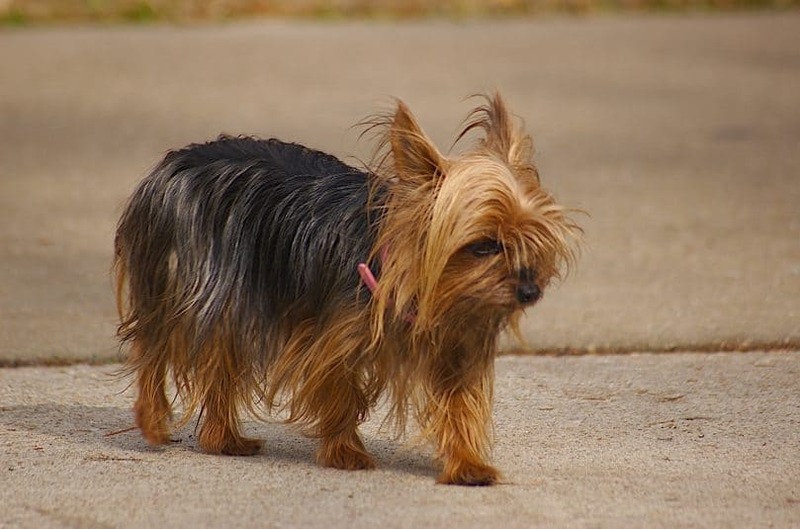 Usually, standard Yorkies have a lifespan of 12-15 years. But due to their smaller size and additional health issues connected with it, Teacup Yorkies have a shorter life expectancy – around 9-14 years. The best age to buy a pup is around 6 months; this is usually the safest time to bring a Teacup Yorkie home. By this stage, it’s easier to tell how well the pup’s growing and whether it’s suffering from any health issues. The reputation of the breeder. The quality of the pup’s health papers. Ensuring you get a healthy pup will save you a ton of money in the long run, so don’t skimp on the cost! Unfortunately, there are loads of unreliable and unethical breeders about. They’ll advertise the sale of Teacup Yorkie pups and take advantage of vulnerable buyers who aren’t familiar with the breed. By convincing someone they’re purchasing a “teacup” Yorkie, the breeder makes them feel they’re getting something more unique than the standard breed. Therefore, devious breeders are capitalizing on this and using it as a sly marketing trick– not cool! In light of this, it’s worth doing your research and getting a few referrals before you decide on a breeder. Thanks for reading this blog post, we hope you enjoyed it! If you already have a Teacup Yorkie, please feel free to let us know in the comments box. We’d love to see how you’re getting on, and whether you have any advice for new owners.